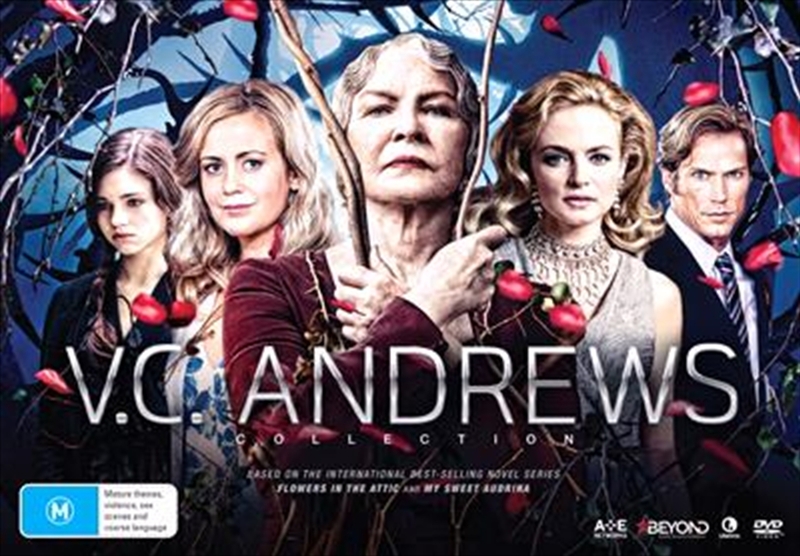 FLOWERS IN THE ATTIC DOUBLE MOVIE PACK - Based on the best-selling book by V.C. Andrews, FLOWERS IN THE ATTIC, is a gothic story of four siblings who, after the death of their father, are torn from a peaceful life and subjected to abuse resulting from a dark, family secret. The second movie in Flowers in the Attic series, PETALS ON THE WIND continues to follow the Dollanganger family as they attempt to put their sordid past behind them. IF THERE BE THORNS - Based on the third book in the Flowers in the Attic series follows Chris and Cathy as they live together as man and wife with Cathy's two sons, who are unaware of the incestuous nature of their parents relationship. When a mysterious woman moves in next door and befriends the younger boy, Bart, begins a strange transformation. SEEDS OF YESTERDAY - The saga of the tormented Dollanganger family finally comes to an end in SEEDS OF YESTERDAY. Cathy's son Bart has inherited all of Corinne's money and has used to it re-create Foxworth Hall, where he now lives, while brother Jory is a dancer like his father Julian. MY SWEET AUDRINA - Based on one of the few standalone novels written by V.C. Andrews, MY SWEET AUDRINA is a gothic psychological thriller centering on Audrina (India Eisley, The Secret Life of the American Teenager), a young girl with an inability to recall past events in her life.